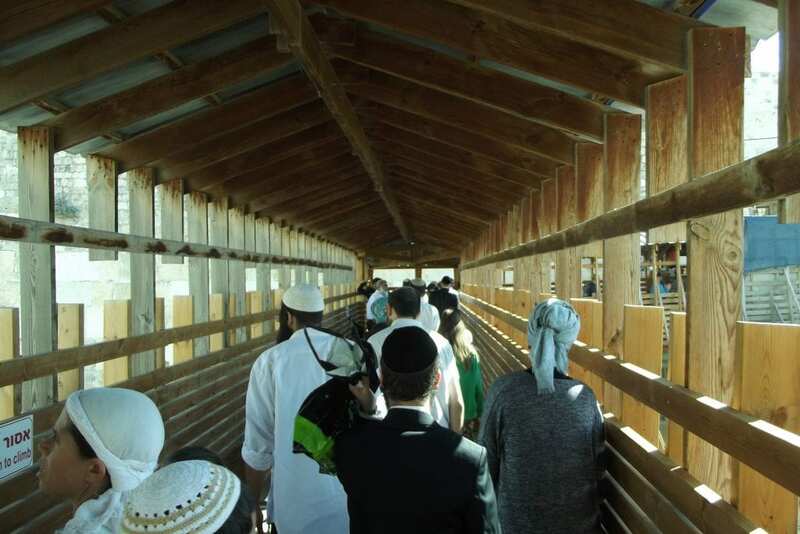 In Memory of Holiday Pilgrimage, Ascending to the Temple Mount On Sukkot [PHOTOS] - Breaking Israel News | Latest News. Biblical Perspective. On a desperately limited basis, Jews are permitted to walk quickly through the site, closely guarded by police and Waqf Muslim Authority guards, who ensure that the only prayers emanating from the site are uttered in Arabic. Despite 2,000 years of exile and the Muslim veneer, the site still glows with the Holy presence that, according to Jewish tradition, has never left the site since Solomon first established his Temple. Jews who wish to visit their holiest site are only permitted to enter the Temple Mount via one gate and at set hours that are severely limited and prone to cancellation at any signs of Arab violence. Separated out from tourists, Jewish visitors are organized into groups. No religious articles, books, signs of Israeli nationalism or laptop computers are allowed. Visitors must present identification and background checks are conducted. Jews are scrupulously checked and must pass through a metal detector. In comparison, Arabs have access to the site via eleven gates and there are no security measures. The Temple Mount Compound has a total area of 37 acres. 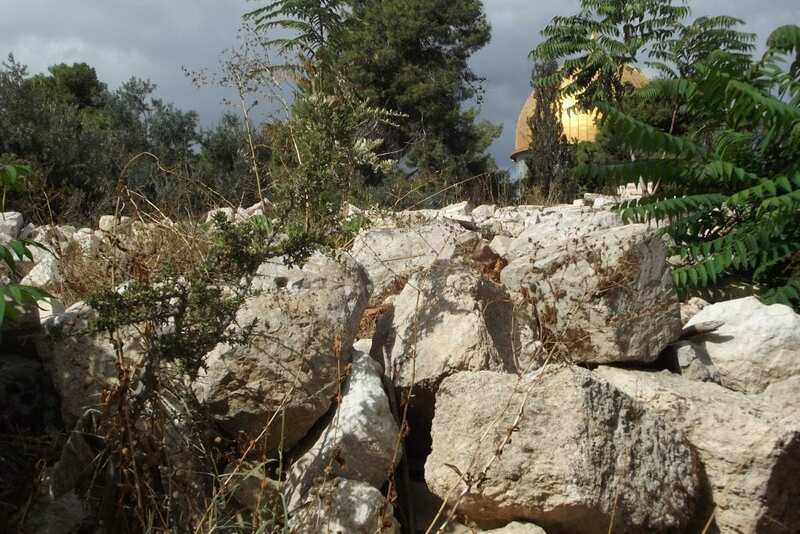 Though the focus is on the two main buildings, the silver-domed Aqsa Mosque and the gold Dome of the Rock, most of the site is empty, filled with olive and pine trees, empty stone-flagged courtyards, or simply rocky areas. Undoubtedly one of the most important archaeological sites in the world, the secrets are hidden behind an Islamic wall of silence. 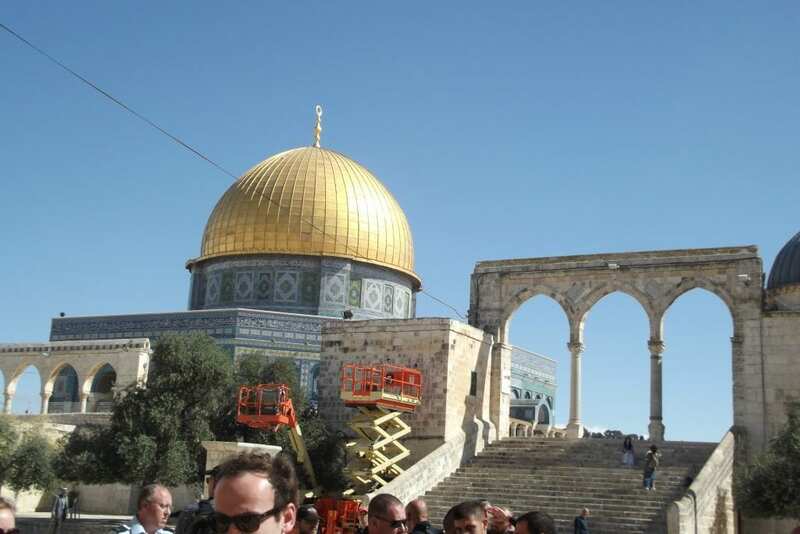 The Waqf (Muslim Authority) frequently carries out unauthorized construction using heavy equipment with disregard for any artifacts. 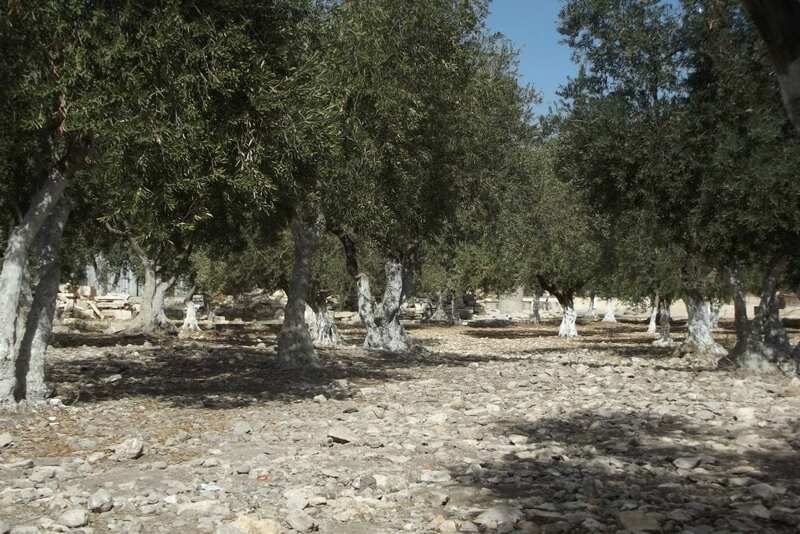 The Temple Mount Sifting Project began in 1999 after illegal construction dumped over 9,000 tons of dirt mixed with Temple artifacts as garbage in the Kidron Valley. 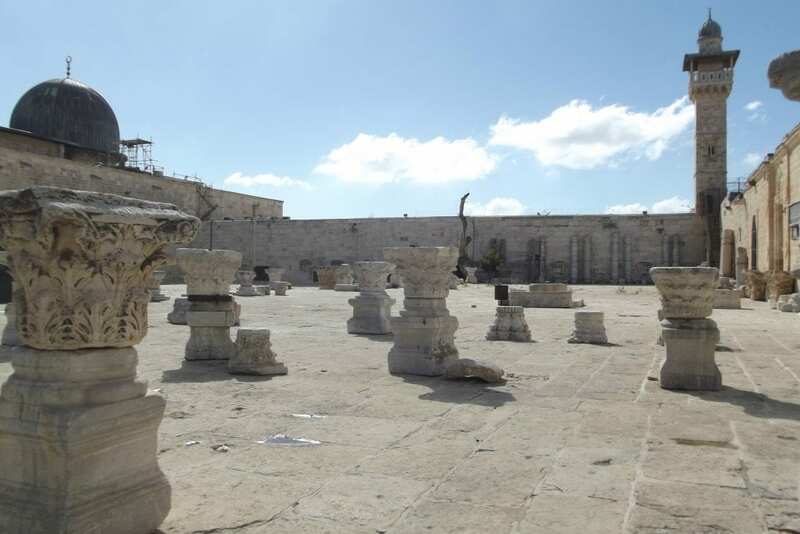 While the Islamic Authority claims that no signs of Jewish presence at the site, the Sifting Project has discovered thousands of artifacts from the Temple, and have reconstructed a section of the floor from the Second Temple. The site has several sections covered in rough cut stones, likely remnants of the Jewish Temple. The Sha’ar HaRachamim (gate of Mercy) is known as the Golden Gate in Christian literature. It is believed to be the location of the Shushan Gate but this is unsubstantiated since no archaeological work is permitted here. According to Jewish tradition, the Shechina (divine presence) used to appear through the Eastern Gate, and will appear again when the Messiah comes. 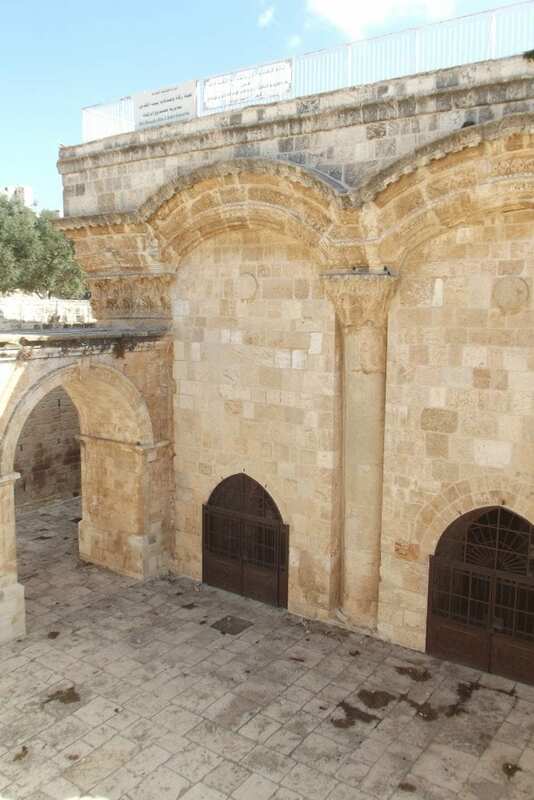 Jews used to pray in medieval times for mercy at the former gate at this location, another possible reason being that in the Crusader period when this habit was first documented, they were not allowed into the city where the Western Wall is located. Hence the name “Gate of Mercy”. Closed by the Muslims in 810, reopened in 1102 by the Crusaders, it was walled up by Saladin after regaining Jerusalem in 1187. Ottoman Sultan Suleiman the Magnificent rebuilt it together with the city walls but walled it up in 1541, and it stayed that way until today. Qubbat al-Sakhrah (Dome of the Rock) was built on the site of the Holy of Holies of the Jewish Temples by Umayyad Caliph Abd al-Malik. 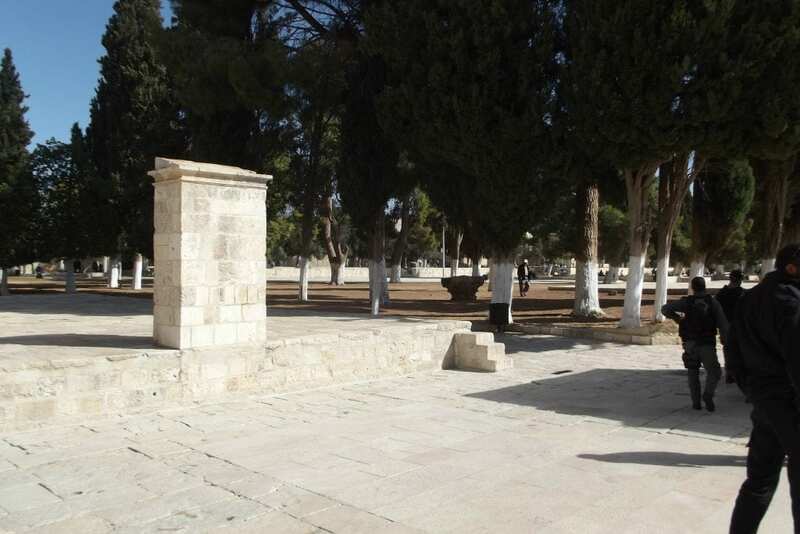 It is also believed to be the site at which Abraham was commanded to sacrifice his son Isaac. Jews may approach to the stairs and no further. Currently non-Muslims are not permitted to enter, and Jews are forbidden from approaching the site. The building is covered with intricate ceramics and Arabic calligraphic art. Many of the more prominent inscriptions are quotes from the Koran explicitly rejecting Jesus. Israel conquered the Temple Mount in the 1967 Six-Day War, but just a few hours later, Moshe Dayan, the Minister of Defense, ordered the flag removed. 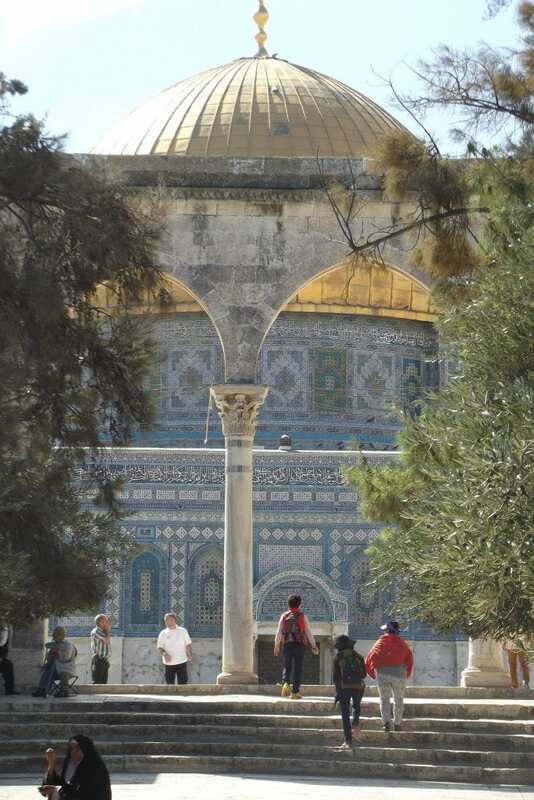 In subsequent negotiations with Jordan, Jews were given the right to visit the Temple Mount, but they were forbidden from praying at the site. The right to pray at the Western Wall, something that had been forbidden by Jordan until then, was granted to the Jews. Religious sovereignty was to remain with the Muslim authority but ‘overall sovereignty’ remained with Israel. Though Israel has adhered to its side of the bargain, the site has become the focus of a power struggle between Jordan and the Palestinian Authority. No Israeli flags are permitted but Palestinian flags are prominently displayed. 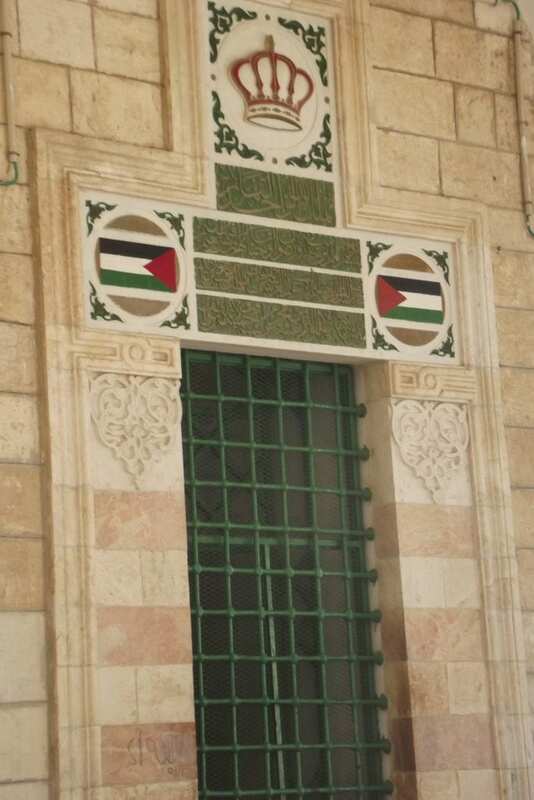 (Note: the Palestinian flag is nearly identical to the Jordanian, the only difference being that a seven-pointed star appears in the red triangle on the Jordanian flag).